And in many cases those cyber shoppers are spending more online than they do at the mall. Each one of those purchases represents a fulfillment order that needs to go from supply center, through shipping and ultimately end up in the customer’s hand safe and in tack. That’s a tall order indeed. In its most basic terms, a fulfillment order deals with a product coming in and going out. 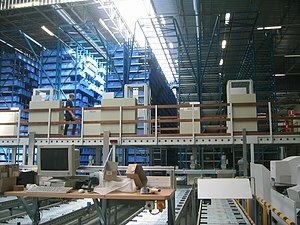 Inventory management steps into play as the facilitator when the initial shipment of products comes into the fulfillment center. These products need to be stored in such a way that the staff will have easy access to pick and pack. Part of the efficiency of successful fulfillment order is being able to find the product without searching all over the warehouse and wasting valuable work time. Once the product stock is depleted, the inventory needs to be increased. This means that fulfillment order also needs to have a counting component. This can be simply accomplished with the many SKU scanning programs available. The goal would be to have a system that will be easy for your employees to use. If they find it confusing and can’t enter the proper data, it’s not going to do anybody any good. Daily tracking records should account for the inventory stock and the need to replenish. There should be no surprises when it comes to fulfillment orders. Matching the product with the proper shipping labels is also essential to fulfillment orders. All the hard work of a fulfillment center won’t amount to much if the right product doesn’t arrive to the right individual. You will also need to be able to track that shipment once it leaves the facility. This is a valuable way for customers to be kept informed as to when they can expect a delivery. All of this adds up to a successful experience for the customer. When they are happy, they’ll return for more business. And more fulfillment orders mean more success!